Beginning in late April, Mar Lan will assist the University of Kansas in the expansion of the Elizabeth Dole Library. This project will provide additional exhibit space for some of the unique artifacts and collection of the Dole Family. The Robert J. 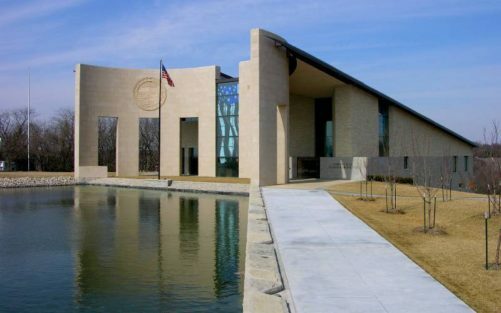 Done Institute of Politics is a world-class building on the west campus of the University of Kansas. This center is an absolute must visit for all. One little item of interest – when Elizabeth Dole was Secretary of Transportation, it was said the Federal Highway Administration used her biscuit recipe to fill potholes. We are kidding of course, but very thankful to work on such a fantastic project.